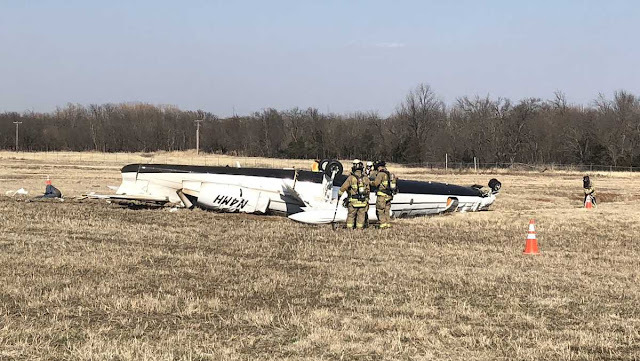 On March 18, 2019, at 1531 central daylight time, an Israel Aircraft Industries Westwind 1124, N4MH, impacted terrain near the east side of runway 18 at Sundance Airport (HSD), Yukon, Oklahoma. As the airplane approached the approach end of runway 18, it began to climb, rolled left, and became inverted before impacting terrain. The airplane was destroyed. 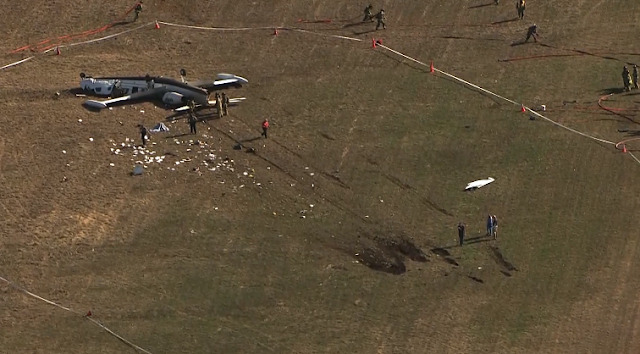 Both pilots sustained fatal injuries. 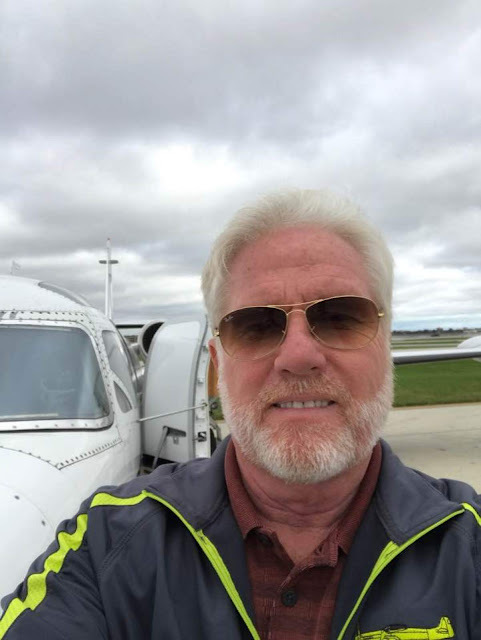 The airplane was registered to and operated by Sundance Airport FBO LLC under Title 14 Code of Federal Regulations Part 91. The flight was operating on an instrument rules flight plan. Visual meteorological conditions prevailed at the time of the accident. The flight departed from Northwest Florida Beaches International Airport (ECP), Panama City, Florida and was destined to HSD. The airplane was located about 1,472 feet down and 209 feet east of runway 18. The landing gear and wing flaps were extended. The left thrust reverser was unlatched and open and the right thrust reverser was closed and latched. The airplane was equipped with a cockpit voice recorder (CVR); however, the accident flight was not recorded. The audio on the CVR indicated the last events recorded were from 2007. Douglas James Durning was born July 31, 1958 on Long Island in NY, the son of George and Joan (Paulson) Durning. He completed this life on Monday, March 18, 2019 at the age of 60. Doug was raised on Long Island. He played baseball and soccer, he made go-carts, he built model planes, he was in the Boy Scouts, he played the saxaphone in “The Jazz Band” at school and they made an album, he was inducted into the Honor Society as a freshman in HS and maintained his membership throughout high school. Oh, he also learned to fly at the age of 14. He graduated from Connetquot High School in 1976. After graduation he enlisted in the U. S. Air Force and served his country in Germany and Egypt to name a couple of postings. 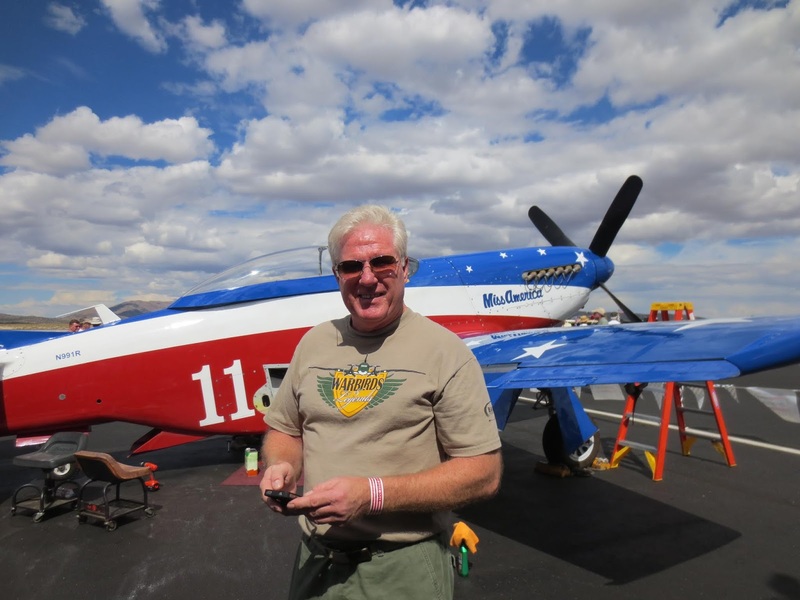 While in the U.S. Air Force Doug received several honors for his excellence in service, some related to excelling in his college curriculum and others relating to his exceptional performance. He received his Bachelor’s and Master’s Degrees degrees from Troy University (both obtained during his 4 years of service) with much if not all of that time being on the Dean’s List. He, naturally, he was honorably discharged from the Air Force when his term of service was completed. 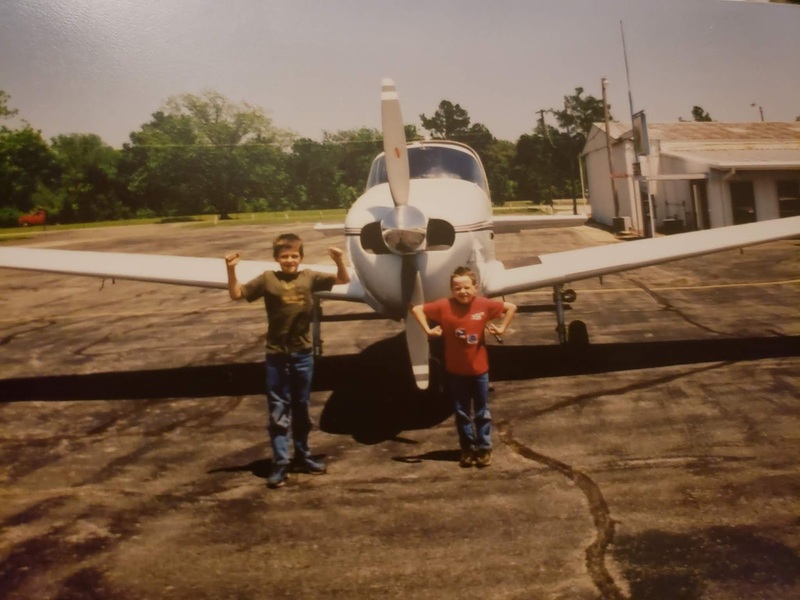 After his discharge chose to see what Oklahoma City had to offer him as his parents had moved to Oklahoma City while Doug was in the Air Force. He went to work for Fred Jones Manufacturing. 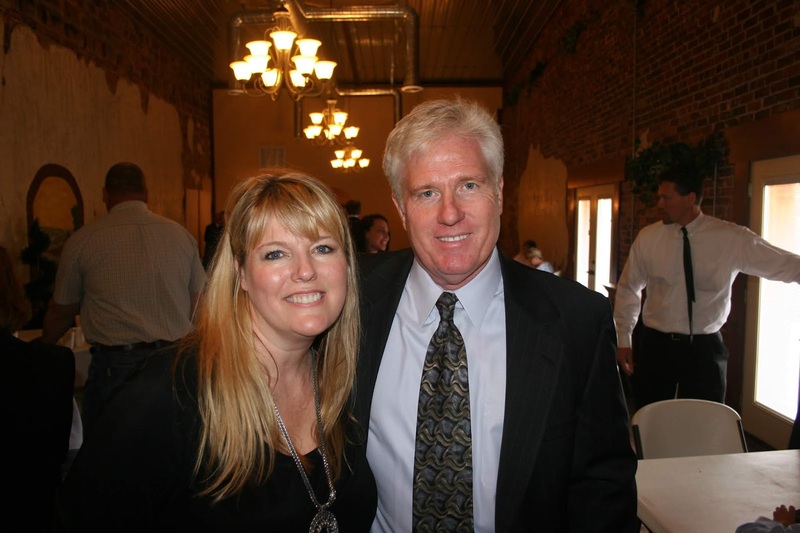 He then served as president of several mortgage processing companies. 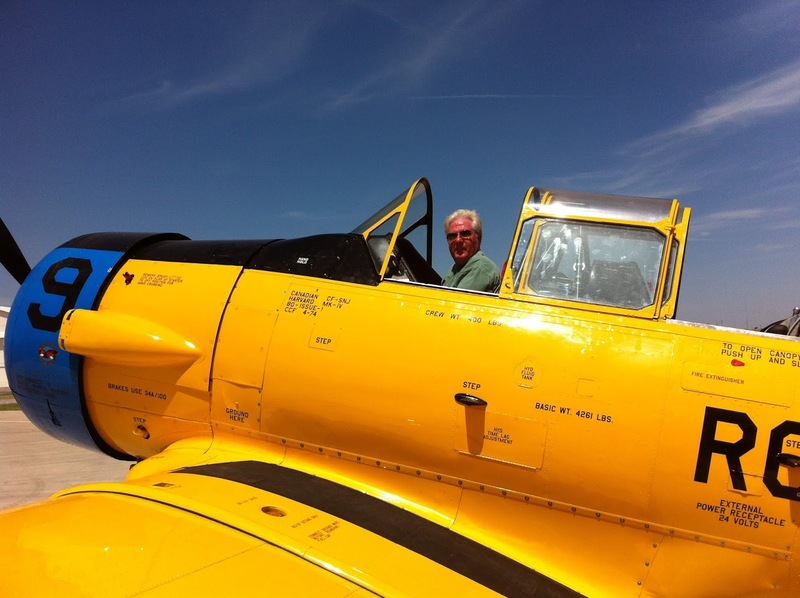 He owned Freedom Flyers Aviation and Durning Air Craft Service and was a corporate pilot. He was preceded in death by his mother, Joan Durning, in 2009. He is survived by his father, George Durning; his sons, Anthony Durning and his wife Charissa, Jason Durning, Christopher During and HN Brandon Wilson (Navy); his sisters, Deborah Bonura and her husband Joe and Donna Johnston and her husband Norman; and his brother, Dan Durning and his wife Doris. Doug is also survived by nephews Danny Durning, Grant Johnston, Matt Bonura, Kyle Stults, Eric Stults, Sean Wright and Paul Wright; and nieces Kiersten Durning, Whitney Stults, Brooke Stults, Tiffany Day and Courtney Adams. Doug is also survived by Judith Pierson (Mom to Tony, Jason, Chris and Brandon). Additionally Doug is survived by Shelly Bolton Henry, Kara Christy and children Lilly and Beckham, Hannah Henry and Blake Henry and son Owen. Doug was survived by so many special people in his life it would be impossible to list them all, but know that if you were in Doug’s life you were special! Britton Cherish Walters Lee was born August 1, 1975 in Fort Leonard Wood, Missouri to Cheryl O'Rourke (Long) and Bill Walters, Jr. Britton passed away March 18, 2019 at the age of 43, doing what she loved (flying). 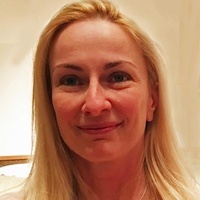 Britton graduated with honors from McCallum High School in Austin, TX in 1993. She then served in the Army National Guard, later receiving her bachelor’s degree in nursing from the University of Texas. She worked as a nurse, initially in Texas including at Lajitas and then in Oklahoma, lastly at Oklahoma Heart Hospital. Over two decades Britton developed her career in aviation which became her fulltime occupation. 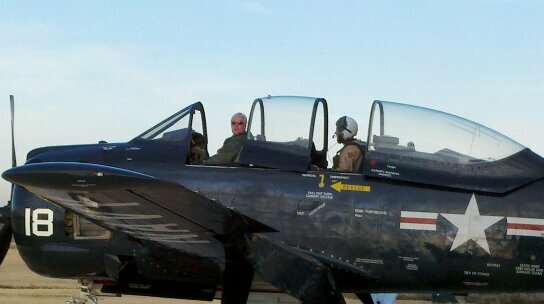 Britton was a flight instructor, ATP pilot, licensed aircraft mechanic, warbird and airshow pilot with her beloved T6 Big Red. 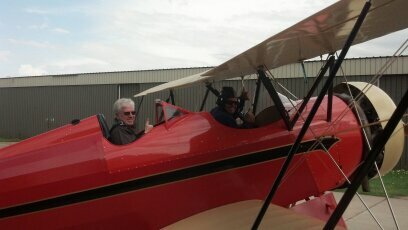 She was recently designated as a pilot examiner by the FAA. Britton was also an artist and quilter. She loved the great outdoors, canoeing and hiking. She is survived by her husband, Tom Hennebry; step-daughter, Olivia Hennebry Wendel; grandfather, Bill Walters; parents, Cheryl O'Rourke and Bill Walters, Jr.; brother, Tony Walters; half-brother, Sean O'Rourke; and step-brother, William O'Rourke. The family will hold private services. OKLAHOMA CITY - The investigation continues into what led to the deadly plane crash Monday in far northwest Oklahoma City. Emergency crews were called to Sundance Airport, 13000 Sara Rd., shortly after 3:30 p.m. on Monday after a IAI 1124 Westwind crashed while landing at the airport, officials said. On Tuesday, officials from the NTSB on-site started to look into what led to this twin engine jet hitting the ground upside down. 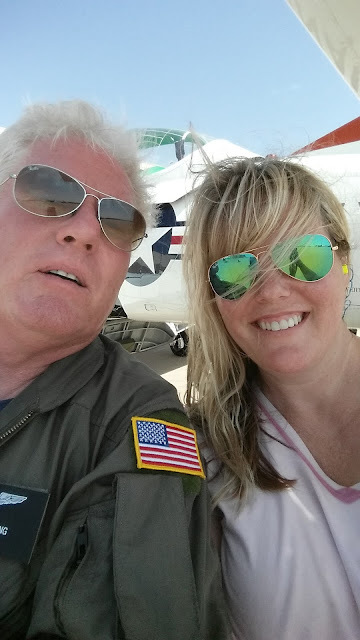 Today, the medical examiner releasing the names of the two pilots 60-year-old Doug Durning and 43-year-old Britton Lee were behind the controls when their 1978 Israel air jet went down on approach to Sundance Airport. Durning was killed on site, and Lee was transported to the hospital where she later passed. 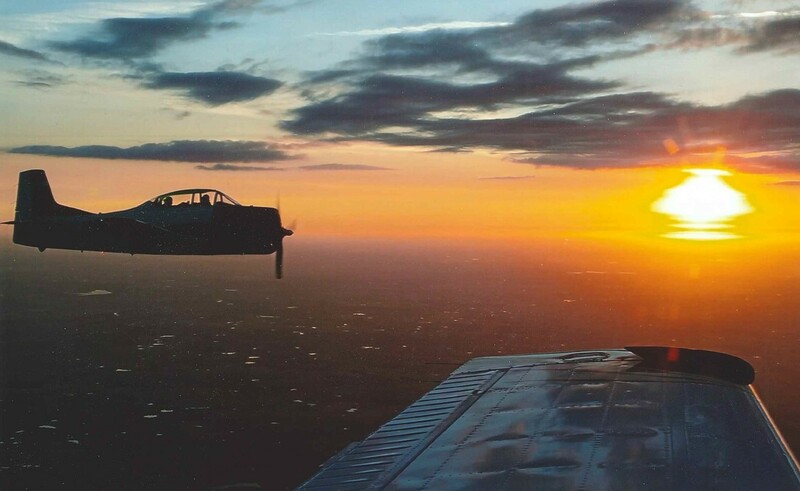 “I was honored to call these skilled aviators my friends. My thoughts and prayers are with their families and those that hold them dear." As many now know, Doug Durning and Britton Lee were the 2 pilots lost in yesterday’s tragedy. Doug and Britton were beloved by many, especially by everyone here at Sundance Airport. Doug and Britton were highly skilled aviators, and both had decades of experience piloting aircraft. 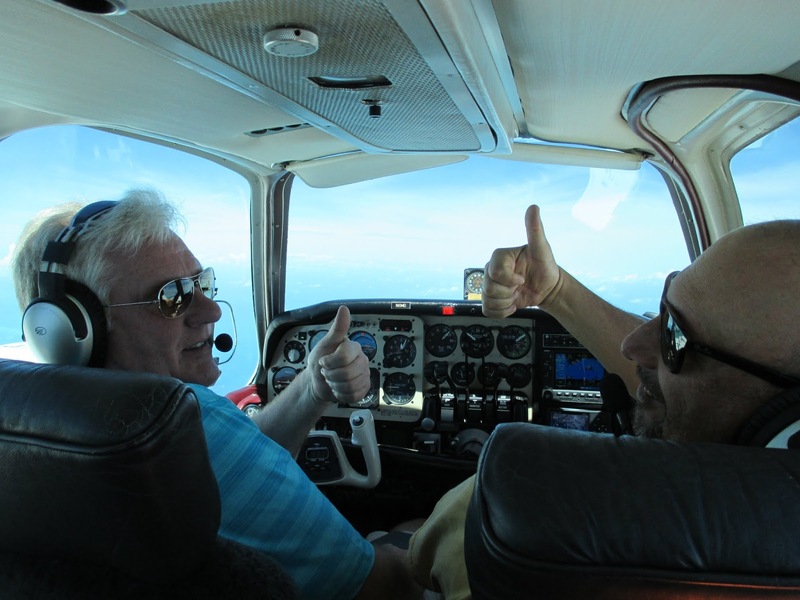 Most recently, they flew the Westwind corporate style aircraft together for the last 2 years. We appreciate your continued prayers for the family and all those that have been impacted by this tragic loss. 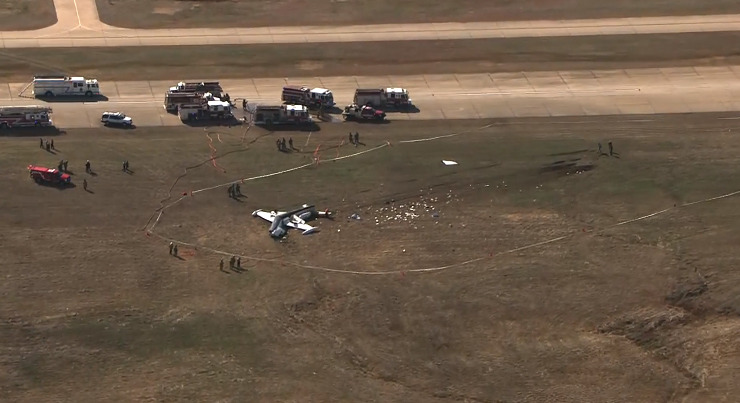 OKLAHOMA CITY – The victims killed in a plane crash at Sundance Airport in Oklahoma City on Monday have been identified by the medical examiner. 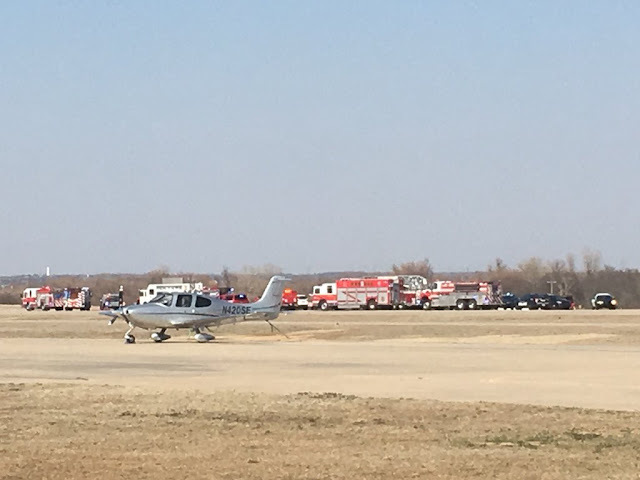 Emergency crews were called to Sundance Airport, 13000 Sara Rd., shortly after 3:30 p.m. after a IAI 1124 Westwind crashed while landing at the airport, officials said. Two people were on board. A man was pronounced dead at the scene. On Monday, the man was identified as 60-year-old Doug Durning. A woman, who was also on board, was transported to the hospital in critical condition, but later died from her injuries. She was identified on Monday by the medical examiner as 43-year-old Britton Lee. The medical examiner says the cases are currently pending. According to online flight records and the Federal Aviation Administration ( FAA), the aircraft took off from Northwest Beaches International Airport in Panama City, Florida shortly after 1:30 p.m. Central time. The twin-engine jet crashed while attempting to land at Sundance, officials said. The plane did not catch fire. "Obviously, this is a tremendously somber day at Sundance Airport. It is truly difficult to find the words to express the sadness that this group is feeling. Everybody here at Sundance is truly a family. They are a very very close community," Deborah Floyd, Sundance Airport spokesperson, told News 4 on Monday. "We do ask for thoughts and prayers for all of those involved here. we are working with all the agencies necessary, to provide any information they may need to work through the scene." The 1978 IAI-1124 Westwind is owned by the airport, according FAA registration records. The twin-engine turbofan, medium-sized corporate jet seats seven to ten passengers and has a crew of two. When reached by phone Monday, Sundance Airport owner Jerry Hunter told News 4 he knows those killed in the crash and said he would "gladly trade places with either." It's unclear what may have caused the crash. It's also unknown if the pilot radioed a mayday distress call before the crash. Federal investigators are scheduled to arrive Tuesday to begin sifting through crash site wreckage and the National Transportation Safety Board (NTSB), which will be in charge of the investigation, was notified Monday. The owner of the airpark and the plane issued this statement on Tuesday on social media. Losing someone close is one of life’s most difficult challenges but losing 2 people you care about so unexpectedly is crippling. For our Sundance family, this is today’s reality, and the reality of the days to come. My heart goes out to the families and close friends of the two we lost in yesterday’s tragedy. 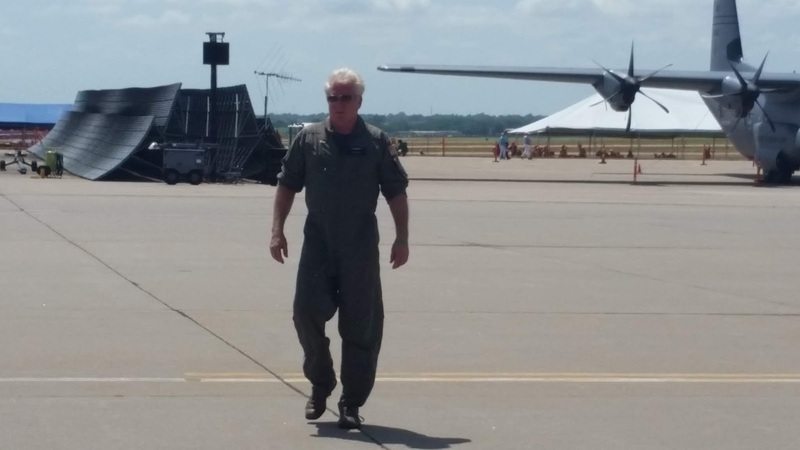 YUKON, Oklahoma (KOKH) — The two pilots that died in Monday's plane crash at Sundance Airport have been identified. 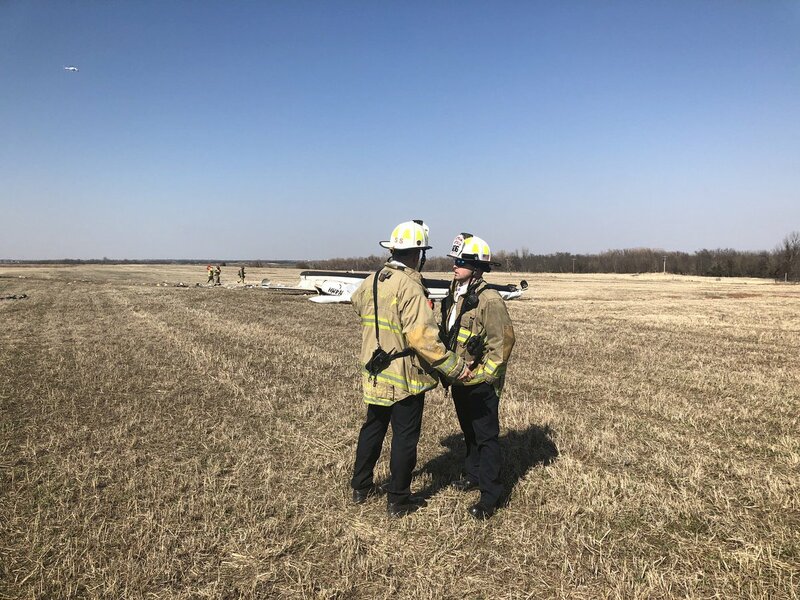 43-year-old Britton Lee and 60-year-old Doug Durning were both on board the aircraft when it crashed and landed upside down just off the runway. Lee was the founder of PILOTMAKEROKC and taught flight training according to her website. 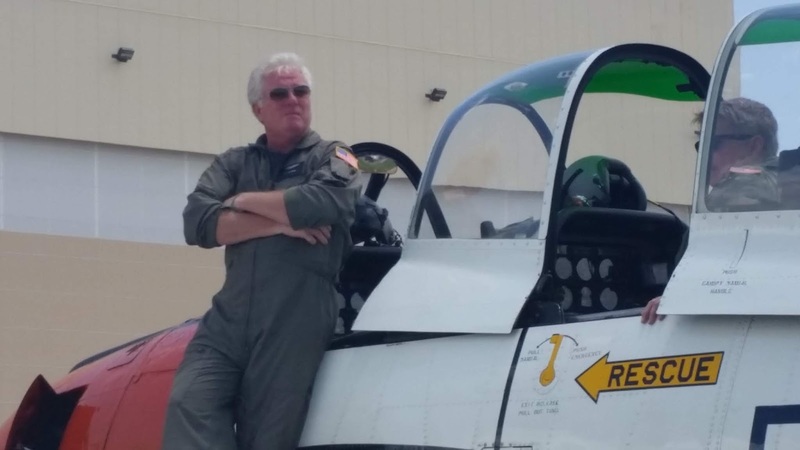 The website says Lee had been a pilot since 2001 and a flight instructor since 2007 with almost 3000 hours of flight experience in 50 different types of aircraft. Lee spent eight years in the Army National Guard according to her website and had also been an intensive care and cardiology unit nurse. Durning owned Freedom Flyers LLC which offers flight training, professional pilot services, aircraft management, and aircraft maintenance. Durning's website doesn't go into detail on his background. Currently the NTSB investigation remains active. Sundance airport anticipates reopening very soon. 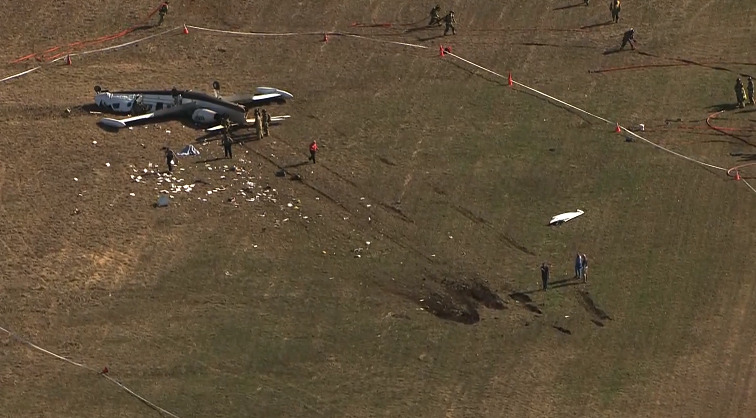 NTSB told FOX 25 they have gathered facts and documented the scene. A preliminary report on the investigation can be expected within 10 days according to NTSB. 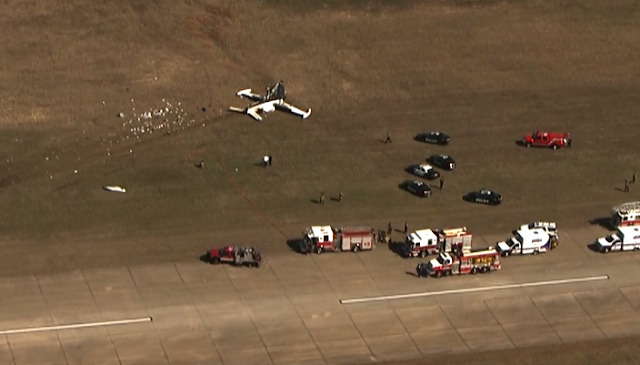 The plane will be moved from the airport this evening or Wednesday for further examination the NTSB said. OKLAHOMA CITY - Federal investigators are scheduled to arrive Tuesday to begin sifting through crash site wreckage at a northwest side airport, after a IAI 1124 Westwind crashed Monday afternoon killing two people. An Oklahoma City Fire Department official said a man was pronounced dead at the scene. A woman, who was also on board, was transported to the hospital in critical condition, but later died from her injuries. The names of the victims have not been released. "Obviously, this is a tremendously somber day at Sundance Airport. It is truly difficult to find the words to express the sadness that this group is feeling. Everybody here at Sundance is truly a family. They are a very very close community," said Deborah Floyd, Sundance Airport spokesperson. "We do ask for thoughts and prayers for all of those involved here. we are working with all the agencies necessary, to provide any information they may need to work through the scene." According to online flight records and the FAA, the aircraft took off from Northwest Beaches International Airport in Panama City, Florida shortly after 1:30 p.m. Central time. 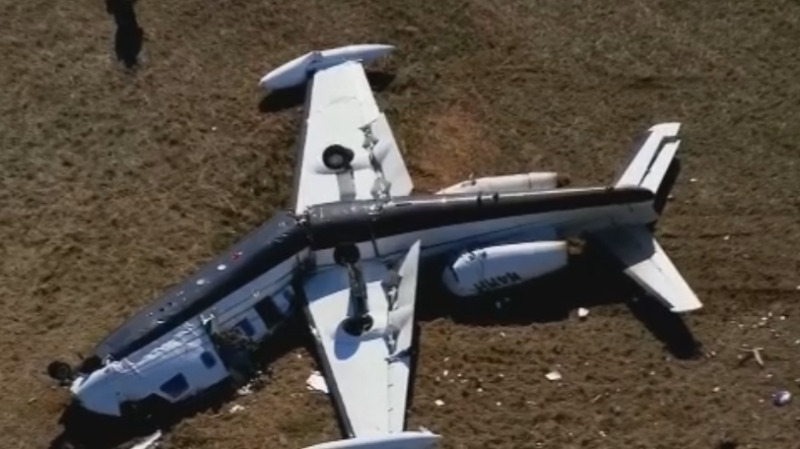 The IAI 1124 Westwind crashed while attempting to land at Sundance, officials said. The plane did not catch fire. 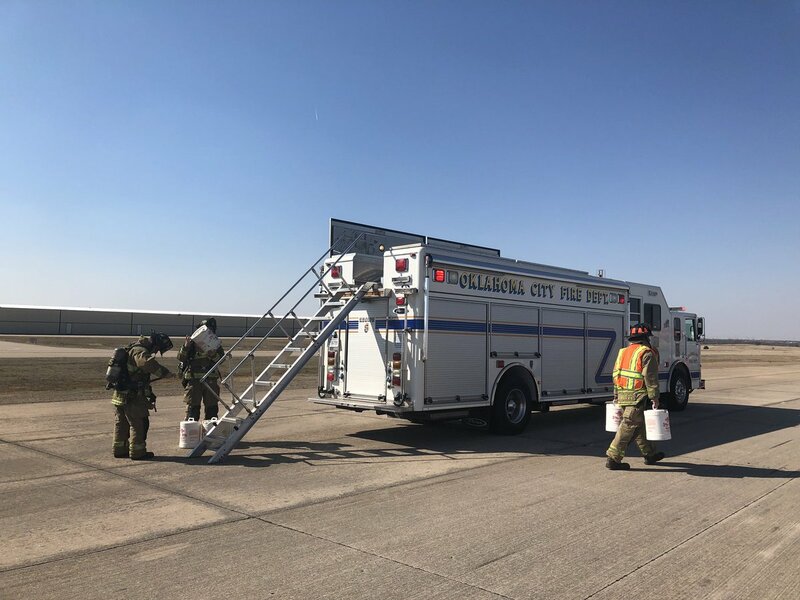 "We did have a post-crash jet fuel leak, which our hazmat team responded to here for and has since contained that," said Oklahoma City Fire Capt. David Macy. "Did send a rescue crew in to search the aircraft to make 100 percent sure we only had two victims on board." Hunter, who owns Edmond-based U.S. Fleet Tracking, purchased the Canadian County airport in 2013. More than 200 fixed-wing aircraft, including eight jets, are based at the single runway airport, according to federal data. It's unclear what may have caused the crash. Winds were light out of the south and aircraft could have landed in either direction on the north-south runway. It's also unknown if the pilot radioed a mayday distress call before the crash. "At this time we don't know of anything," said airport general manager Justin Skaggs. 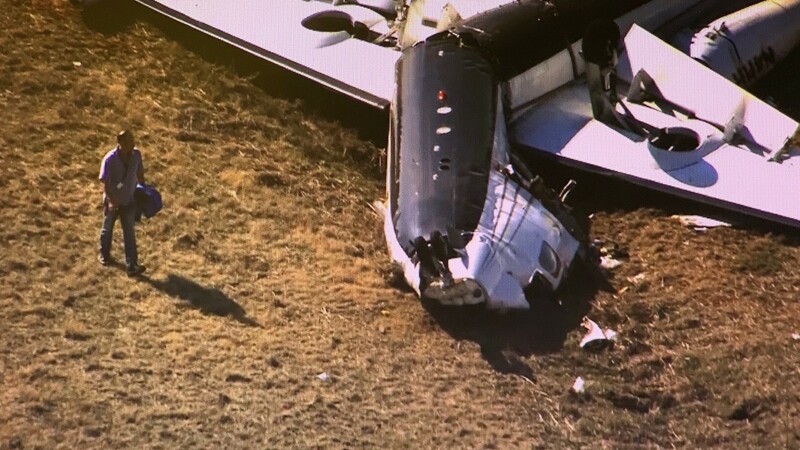 Aerial video of the crash site showed dirt skid marks and debris field starting about 75 feet east of the runway, and extending about 200 feet to the southeast where the jet came to a rest, upside down. The forward section of the fuselage nearly separated from the rest of the plane. A Federal Aviation Administration (FAA) spokesperson for the mid-states division said investigators are on their way to the crash site and the National Transportation Safety Board (NTSB), which will be in charge of the investigation, has been notified. "It's just a tragic day and we're terribly sorry," said Floyd, the airport spokesperson. "Right now, being that it is an active scenario. People are still being notified. But it is someone that we all know." Floyd said the names of the victims will likely be released Tuesday. OKLAHOMA CITY — A man and a woman are dead after a plane crash on Monday at Sundance Airport in Oklahoma City, according to officials. Around 3:40 p.m., a IAI 1124 Westwind crashed while landing at Sundance Airport, Federal Aviation Administration officials said. Two people were on the plane, both have died. The man was pronounced dead at the scene, and the woman died after being taken to an Oklahoma City hospital, according to authorities. Their identities have not been released. According to online records, the plane is owned by Sundance Airport and had made two flights Monday. The plane traveled round-trip between Sundance Airport and Northwest Florida Beaches International Airport near Panama City, Florida. Federal Aviation Administration investigators are heading to the Yukon airport, and the National Transportation Safety Board has been notified. Officials with the National Transportation Safety Board will be in charge of the investigation, according to the Federal Aviation Administration.